Torrei Skipper, an American actress and reality television star, was born on 28 February 1978, in North Philadelphia, Pennsylvania USA. As Torrei Hart, she is also known for being the ex-wife of famous comedian Kevin Hart. Currently Torrei is in the cast of “Atlanta Exes”, a VH1 reality series which is a spinoff show of the famous show “Hollywood Exes”. Apart from an actress she is also a comedian, producer and a television personality, all of which contribute to her net worth. 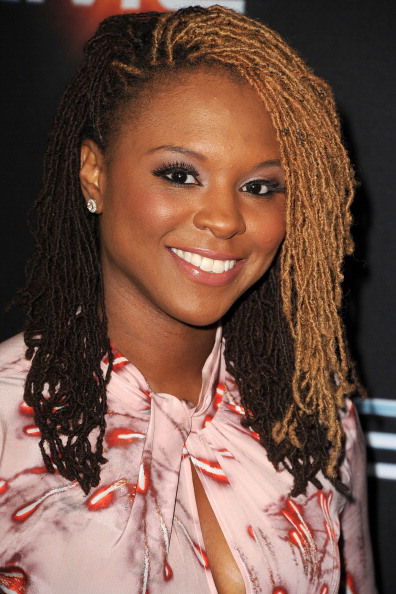 One of the well known faces in television and comedy industry, how rich is Torrei Hart? Sources estimate that Torrei’s net worth is $3 million, most of it accumulated through her television shows and films in which she has acted, as well as produced. Torrei was raised in southern New Jersey; she was interested in acting and comedy from an early age, and used to regularly perform on school stage. Later she went to the Community College of Philadelphia where she met Kevin Hart who had similar interests; they became friends and started to dream about entertainment industry. They dropped out of the college together and started pursuing their dreams. They relocated to Los Angeles and started attending auditions. They became very close and in 2003 they married. While Kevin’s career started to show promise, Torrei was still struggling and as they had children she was left taking care of her family, but her career started blossoming after their divorce in 2011, as she had more time now and her children were also of right age to need less care. Torrei worked in some national commercials for EBay and Toyota; she also worked in the film “Soul Plane” and Nickelodeon’s “Parental Discretion”. These projects certainly boosted Torrei’s net worth. In 2012 Torrei launched a YouTube comedy channel named “Pretty Funny Fish”, which was very popular among the online audience. She founded a production team under the same name which began making online comedy videos, and also signed a contract to make online content for the company All Def Digital. She is the Executive Producer and co-writer in her self-starred short film named “Victim of Circumstances” which was well accepted by audiences and won many nominations and awards in the short film genre. Currently she is working on the VH1 reality show “Atlanta Exes” which is a show about the exes of various famous personalities. All these television shows, online videos and parts in movies have added to her net worth. Born as Torrei Skipper, she continues to use her husband’s last name even after divorce. She has a daughter and son with her ex-husband Kevin Hart. She currently lives in Los Angeles and Atlanta with her son and daughter and is working on a self-help book for women and on her own television project. 1 (February 18, 2008) Gave birth to her 2nd child, a son Hendrix Hart, with her now ex-husband Kevin Hart. 2 (March 14, 2005) Gave birth to her 1st child, a daughter Heaven Leigh Hart, with her now ex-husband Kevin Hart.